With extensive application know-how and experience, Tecan is your partner of choice in streamlining processes and improving throughput, making research, routine screening and quality control a breeze. is being driven by the need to improve crop yields and animal breeding to feed the growing global population. This creates a demand for ever-faster, more powerful technologies offering higher sample throughput, multiplexing capabilities and increased automation and reliability, as well as solutions to deal with the complex polyploid genomes of many plant species. Advances in gene editing and screening solutions are enabling agricultural researchers and crop companies alike to ramp up their research into improving plant traits. The extraction of plant nucleic acids is at the heart of these efforts, and selecting the right solution for your magnetic bead- or filter-based purification workflow is essential. 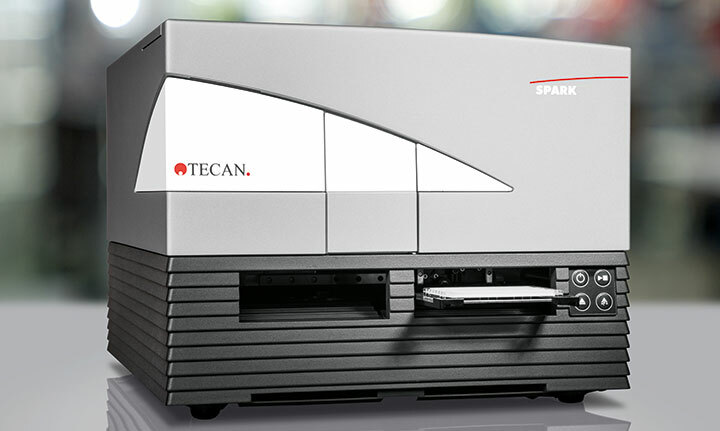 Tecan offers scalable solutions to match your throughput needs, with the flexibility to process random access samples, 96- and 384-well formats as required. Simplify handling of high sample numbers with automated, fully traceable sample reformatting and assay set-up for various downstream applications, such as PCR profiling and qPCR quantification. The unmatched speed and deck capacity of the Fluent® Laboratory Automation Solution allows you to cope with ever-increasing sample numbers. High throughput amplicon library preparation for genotyping by sequencing (GBS) is a fast screening method for crop improvement studies. Choose the solution that delivers the speed, accuracy and precision required to prepare next generation sequencing libraries from multiple 96- or 384-well plates. Ensuring the health of production animals is a prerequisite for food safety and biosecurity, and is economically important for farmers and food producers alike. Surveillance and eradication programs, together with import/export testing, require reliable screening of large sample numbers, with sample numbers often peaking at certain times of the year. Automated testing workflows simplify traceability, enabling results to be tracked to an individual animal or flock and offering straightforward reporting according to CFR21 part 11 requirements. Sample distribution and reformatting can become a task in itself when sample numbers are high. Automation not only removes the sample reception and handling bottleneck, it also enables safe and efficient tracking and archiving of samples. Automated ELISA testing is one of the most popular screening methods for disease monitoring in production animals. Automating ELISA processing on the Freedom EVO® enables efficient testing of a variety of sample types, from serum to milk to ear notch samples. PCR-based methods have taken the lead when sensitivity and specificity are crucial. Offering complete process automation – from nucleic acid extraction to PCR set-up – the Freedom EVO platform offers compact solutions that match your workflow demands, with an intuitive operator interface to simplify day-to-day activities. has become increasingly important over the last decade, requiring full declaration of the ingredients and their origins, additives used and allergens present in foodstuffs. This demands constant, detailed analysis of foodstuff, water and environmental samples. In addition, food researchers worldwide are continuously seeking ways to improve food production processes and to create functional foods. Ensuring the quality, authenticity and safety of foodstuffs is a constant challenge for food producers. 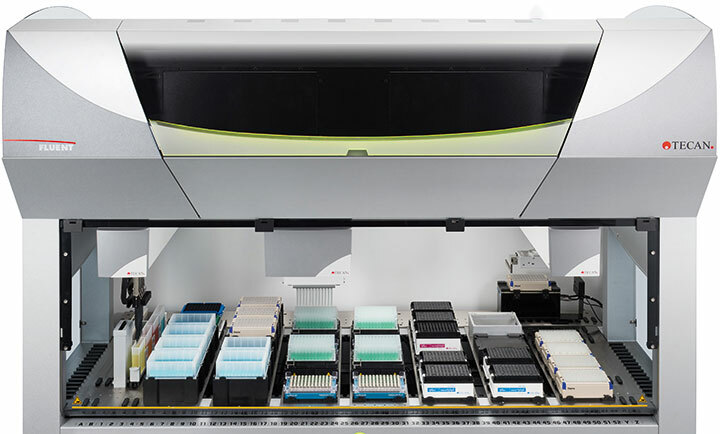 Integration of Tecan microplate readers into your automated workflows allows implementation of a variety of analytical techniques, from spectroscopic methods to microbiological kit-based detection. Automation of mass spectrometry sample preparation also helps to ensure the reproducibility and traceability of the results. The Institute for Product Quality, based in Berlin, has grown into a service laboratory that provides virtually any and every test required by the food market, from microbiology to pesticide testing. Using its expertise in food analytics and kit development, and with new, state-of-the-art equipment and facilities in the Berlin-Adlershof science park, ifp provides testing services and kits to the industry and public alike. Researchers at CIRAD have developed a simple antioxidant assay allowing direct measurement of the antioxidant capacity of food samples. Based on UV absorption, this rapid technique is being performed on an Infinite M1000® PRO. Independent contract research organization ADPEN Laboratories specializes in residue analysis, and has invested in a Freedom EVO® 100 liquid handling platform for mass spectrometry sample preparation. Researchers at The Australian Wine Research Institute are taking advantage of the flexible Freedom EVO® platform to help investigate a wide range of factors affecting the quality of wine. ELISA-based methods provide a fast and straightforward means of testing foodstuffs for a variety of allergens and pathogens. The compact Freedom EVO® 75 allows you to process samples from start to finish with limited user intervention, as well as enabling fully integrated sample tracking and reporting. Pathogen identification using microbiological or PCR-based methods is important for both food safety and food-related research. PCR testing – from nucleic acid extraction to PCR set-up – is straightforward with the Freedom EVO. This system also offers fully integrated colony counting and picking using SciRobotics’ Pickolo module, dramatically simplifying screening and analysis of large numbers of microbial colonies.